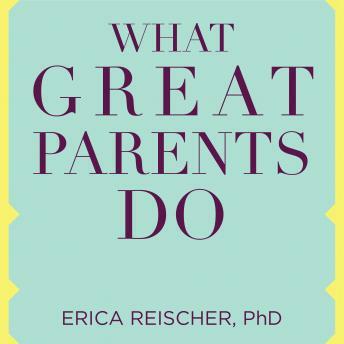 Written By: Erica Reischer, Ph.D.
What Great Parents Do is an everything-you-need-to-know road map for parenting that you will consult again and again. Psychologist Erica Reischer draws on research in child development and cognitive science to distill the best information about parenting today into bite-sized pieces with real examples, useful tips, and tools and techniques that parents can apply right away. This book will show you:How to avoid common parenting misstepsHow to transform power struggles into cooperationHow to change unwanted behavior such as whining and procrastinating, without having to yell or nagWhat Great Parents Do is based on Dr. Reischer's popular parenting workshops that bring together research with real-life examples to create a toolbox for parents that is relatable, actionable, and easy to follow.